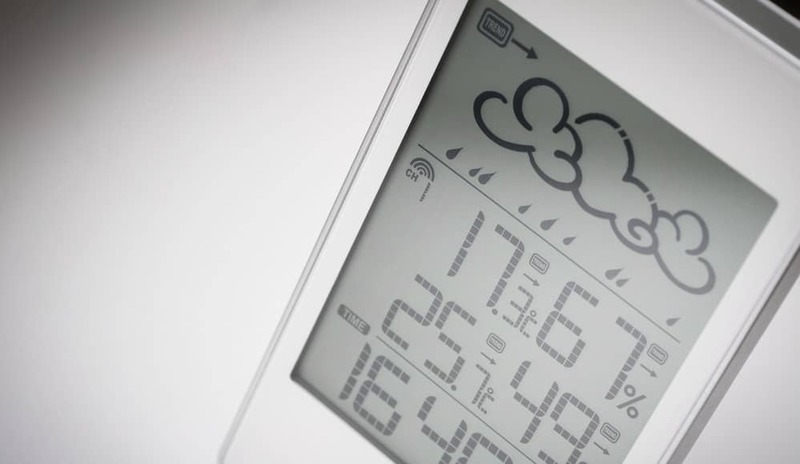 Home » FAQs » What is the Recommended Humidity Level for my Home? Everyone has their own preferences when it comes to what indoor humidity level is most comfortable. In general, a relative humidity level between 35 to 50 percent is ideal for comfort and to prevent microorganism growth. The most comfortable indoor humidity level will vary from one household to the next, depending on personal preferences. In general, this temperature guide will show you where to keep your indoor relative humidity levels to ensure comfort. The best tools to keeping relative humidity at ideal levels in your home year-round are whole-home humidifiers and dehumidifiers. These systems automatically work with your home’s heating and cooling systems to add or remove moisture from the air. Utilize a humidifier in winter months when air is naturally drier, and a dehumidifier in the summer when air naturally carries more moisture. When humidity levels are high in the home, there is too much moisture. This not only causes discomfort, but can be damaging to your home. Excess moisture promotes the growth and spread of mold, mildew, fungi, bacteria, and viruses. These contaminants diminish indoor air quality, causing illness, and can also cause damage to your home. When indoor humidity levels are too high, asthma and allergy sufferers may experience worse or more frequent symptoms. High humidity indoors causes the home to feel muggy. You may notice visible condensation on windows and walls. Mugginess can leave you feeling hot and uncomfortable, turning up the air conditioning and expending more energy when just an adjustment in humidity levels are required. This causes more energy to be consumed unnecessarily, increasing your energy bills. What are the effects of too little or too much humidity?